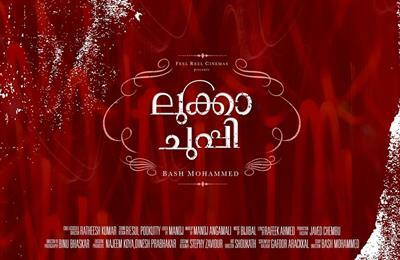 Having an experience working in the Ad film industry, Bash Mohammed is gearing up to make his big screen debut. Titled 'Lukka Chuppi', this multi-starrer movie featuring Jayasurya, Murali Gopi, Saiju Kurup, Muthumani and Remya Nambeesan in lead is currently progressing in Pavaratti. Indrans, Joju George, Dinesh Prabhakar, Irshad, Unnikrishnan, Muthumani, Chinnu Kuruvilla, Sanjjana and Asmita Sood will give life to other prominent characters in the movie. 'Lukka Chuppi' is all about the hide and seek which happens in everyone's minds. Touted as a family entertainer, Luka Chuppi will have a unique making pattern and all the actors will have prominent roles in it. Murali Gopi plays Sidharthan who is busy business magnet working in Dubai. He is highly a stressed corporate official, while Remya Nambeesan plays my wife Revathi Sidharthan. Revathy, Reghuram, Dr Rafeeq and Benny Chacko are classmates. After long years, these friends meet at the guest house owned by Sidharthan. Interesting incidents creamed with humour and suspense forms the crux of the movie. Saiju Kurup dons the role of Fr. Xavier, Muthimani plays Suhara while Chinnu Kuruvilla gives life to Ani. Bollywood model Asmitha Sood will be seen as Radhika, who is settled abroad. Her debut movie was Aami, one of the segments in the anthology movie 5 Sundarikal. Gafoor Arakkal has penned the script while Binu has cranked the camera. Resul Pookutty has been roped in to do the sound for the movie. Luka Chuppi is being produced under the banner Feel Real. For the lines of Rafeeq Ahamed, the tunes are set by Bijubal. Saiju Kurup is on a career high with an enviable line-up of films. In 'Aadu - Oru Bheekara Jeeviyanu', Saiju plays Arakkal Abdu, a dangerous yet lovable guy having a goatee and moustache. In V K Prakash's Nirnayakam, he plays Asif Ali's uncle and in Chirakodinja Kinavukal, Saiju will be seen as a police commissioner. He is also doing a character with shades of grey in Akashavani. Bash Mohammed has worked as Ad filmmaker for various multinational companies. After completing studies at Thrissur College of Fine Arts, Bash worked in India and abroad as creative head as prominent Ad companies for 15 years.